Is my child too young for orthodontics? When should I make an appointment for their first check-up? These are important questions to consider because teeth and jaw problems can become more serious over time if left untreated. According to the American Association of Orthodontics, children should first see the orthodontist no later than age 7. Although your child may still have some baby teeth at that age, they will have enough permanent teeth for an orthodontist to evaluate the developing teeth and determine whether early treatment is necessary. Early treatment means treatment that is performed while baby teeth are still present. The goal of early treatment is to intercept the developing problem, guide the growth of facial and jawbones, and provide adequate space for incoming teeth. Waiting until all the permanent teeth have come in can make correcting some problems more difficult. Pulsipher Orthodontics is here to help your family achieve the best smiles possible. If you would like your child to be evaluated, make an appointment with us today. Timing is everything! You may be surprised to learn that a healthy smile is about more than just straight teeth. The truth is, even if your teeth are straight, you may still have problems with how your teeth fit together – also known as your bite – that can be bad for your oral health. The ultimate goal of orthodontic treatment is to create a healthy bite so you can bite and chew food properly. Having a healthy bite also helps prevent pain, discomfort, and other oral health problems. It turns out straight teeth and a beautiful smile are just positive side effects of orthodontic treatment. If left untreated, an improper bite can lead to jaw joint problems, cavities, and premature wear of teeth. The good news is that all of these problems can be prevented with orthodontics. Orthodontic treatment will help reposition the teeth within the jawbones so they fit together properly. If you suspect your teeth may not be fitting together properly, make an appointment with Pulsipher Orthodontics as soon as possible. We can evaluate your bite and determine whether orthodontic treatment is necessary. You may have heard of online orthodontic companies that promise to straighten your teeth by mail like SmileDirectClub, SnapCorrect, and SmileLove, just to name a few. These companies claim that you can have straight teeth just by taking a selfie and/or an impression of your teeth, then wearing aligners that arrive in the mail for a few months! As the old saying goes – if it sounds too good to be true, it probably is. Before you decide to use a do-it-yourself orthodontic company, there are a few things you should know. First, many of these companies do not require any kind of in-person evaluation and/or ongoing supervision by an orthodontist. Moving teeth without a thorough examination of the overall health of the mouth could result in potentially irreversible damage such as tooth and gum loss. It is extremely important for an orthodontist to look for any untreated cavities, underlying gum infections, and other issues before any teeth-straightening is done. Just last year, the American Dental Association passed a resolution strongly discouraging the practice of do-it-yourself orthodontics because of the potential for harm to patients. The American Association of Orthodontics has also been cautioning consumers about the dangers of do-it-yourself orthodontics. It is important to know that orthodontists receive two to three years of specialized education beyond dental school and are specialists in straightening teeth and aligning the bite. Many dentists involved in these do-it-yourself companies have not received this specialized training. If you are considering using a direct-to-consumer orthodontic company, you can find some good questions to consider here. We highly recommend having an in-person consultation with a member of the American Association of Orthodontists like Dr. Pulsipher before making any decision about orthodontic treatment. Your health is too important to take chances! April is National Facial Protection Month, so we are answering all of your burning questions about mouthguards and how to protect you teeth from unnecessary damage. A mouthguard is an inexpensive piece of protective gear worn over the teeth. Athletes frequently use them to prevent sports-related injuries. Mouthguards help cushion a blow to the face, minimizing the risk of broken teeth and injuries to your lips, tongue, face or jaw. According to the National Youth Sports Safety Foundation, athletes are 60 percent more likely to suffer harm to the teeth if they’re not wearing a mouthguard. Many parents think mouthguards are only required for heavy contact sports like football and hockey, but the truth is oral injuries can happen during any sport! In fact, the American Association of Orthodontics encourages all players to wear a mouthguard during both games and practices. But aren’t mouthguards difficult to wear? 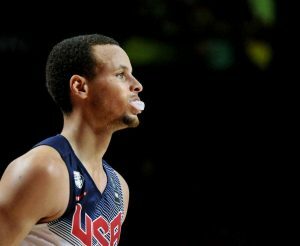 Some people think mouthguards are uncomfortable and distracting, making it more difficult to focus during an intense game. Luckily new advances in mouthguard technology have made products even more comfortable and easy to wear. There are many options to choose from including custom-made mouthgaurds and less expensive “boil and bite” protectors. Dr. Pulsipher can help you decide which mouthguard will provide the best protection and comfort based on your individual needs. Mouthguards are an essential piece of sports equipment, so don’t wait until it’s too late! Call Dr. Pulsipher today to discuss your options for protecting your teeth.